The Christmas countdown has begun! This year, instead of trawling the shops and getting into a little present panic, stick the kettle on, sit back and find thoughtful, unusual, beautiful gifts in our festive gift guide. 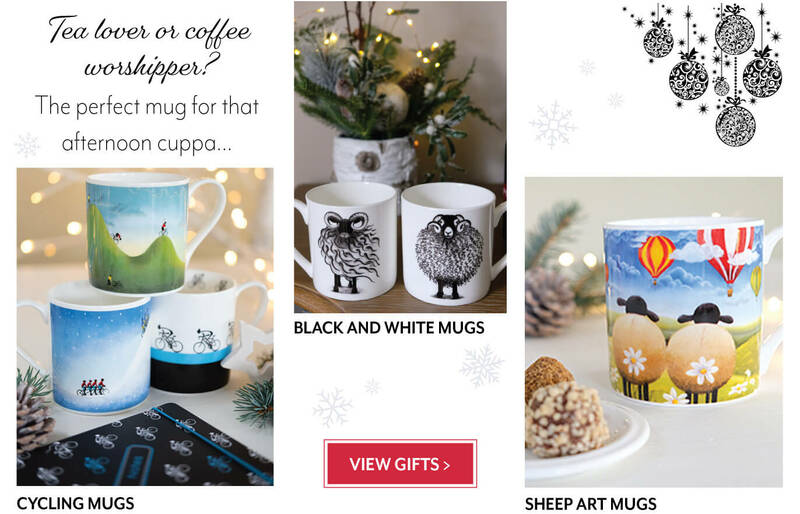 While we are well known for Lucy’s sheep, cow and houses collections, we now offer a wide variety of products in addition to artwork, with beautiful gifts for everyone – even those tricky people that are notoriously difficult to buy for! Whether you are looking for a cheery stocking filler or a bespoke piece of art, with a little pre-planning and help from us, you’ll sweep through your Christmas shopping list in no time, leaving you free to relax and enjoy the finer things in life this Christmas. No ceramics collection is complete without a gorgeous mug from Lucy Pittaway. Perfect for the first brew of the morning, those times when you need a moment of calm or when it’s blowing a gale outside and you’re snuggled up in the living room. Synchronising social and work schedules has never been easier with our meticulously thought out stationery products. The 2019 Family Organiser features Lucy’s popular Babies and Butterflies artwork. It has been purposefully designed to keep track of the whole family’s whereabouts and avoid unwanted clashes in activity. Each month features an individual planning space, with plenty of room to record important appointments, celebrations, events and social meet ups for up to 5 members of the family. 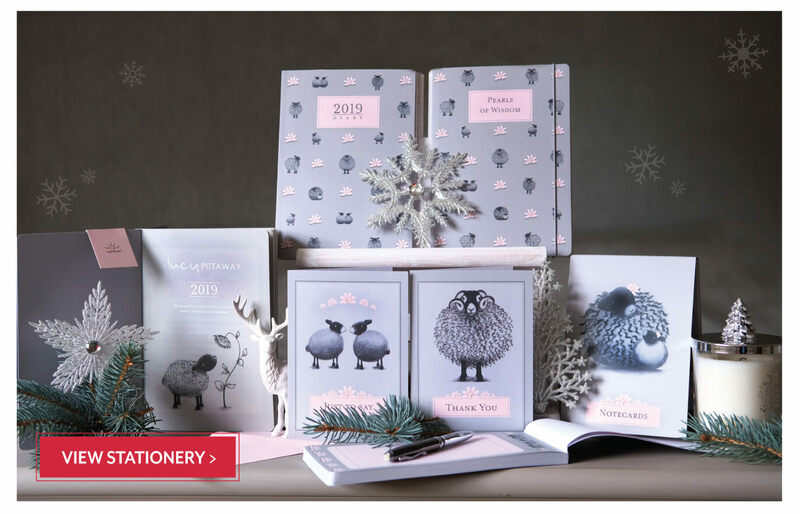 For planning on the go, our beautiful illustrated Grey Sheep Diary contains useful sections for notes, reminders and addresses. It opens up with a handy view of the year ahead, followed by space for ‘to do lists’ and a ‘week to view’ diary. 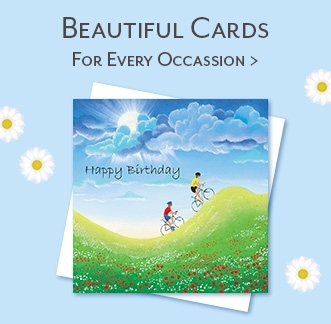 Turn to the back and discover a space for favourite memories and addresses too. 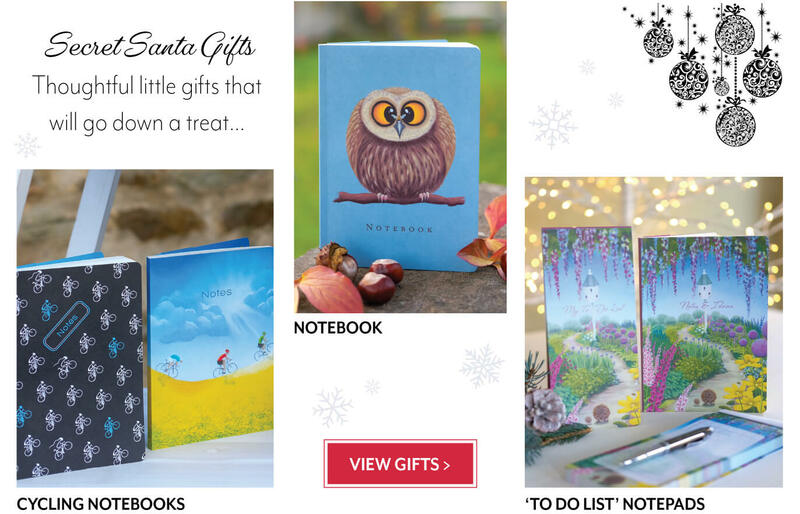 We also have an alluring array of notebooks and notepads which are perfect for stocking fillers. Available as singles or sets of 3 including the hare, owl and pig characters from Lucy’s new ‘A Whole New World’ collection. 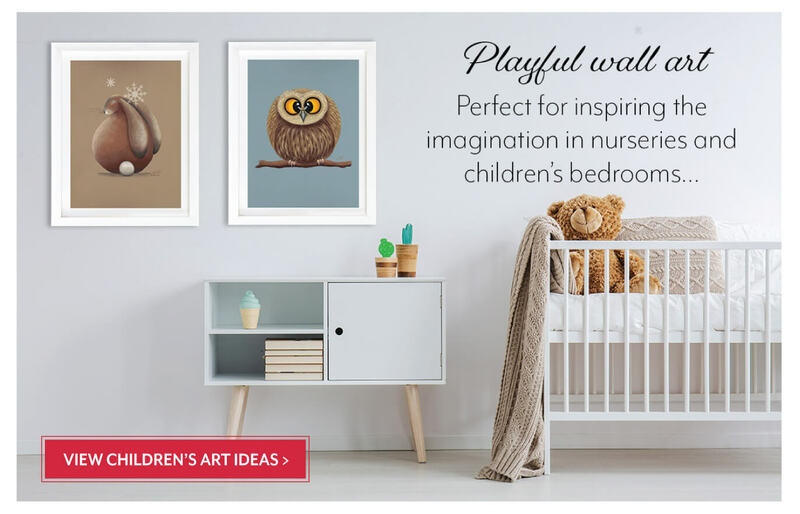 Whether it’s time to celebrate the little one’s first Christmas, or the nursery could do with brightening up, Lucy’s prints look delightful in children’s bedrooms. 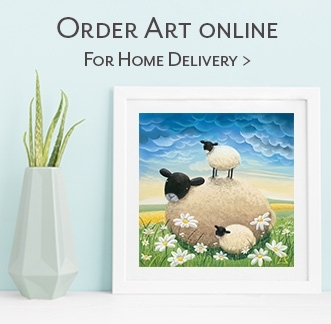 Add a playful pieces from ‘A Whole New World’ which features adorable, cheeky farmyard animals including loving hares, prickly hedgehogs, mucky ducks and charming owls. 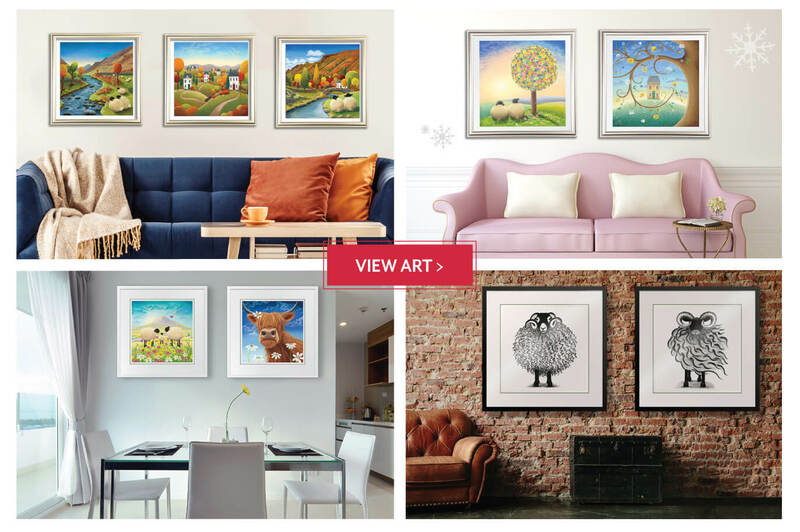 We provide a wide range of framing options to compliment all colour schemes, with a stunning selection of colours, fabrications and thicknesses that are sure to add that special extra touch to children’s interiors. Hmmm… what to get the person that’s seen it all but deserves something super special? The fabulous thing about gifting art is that it lasts forever. 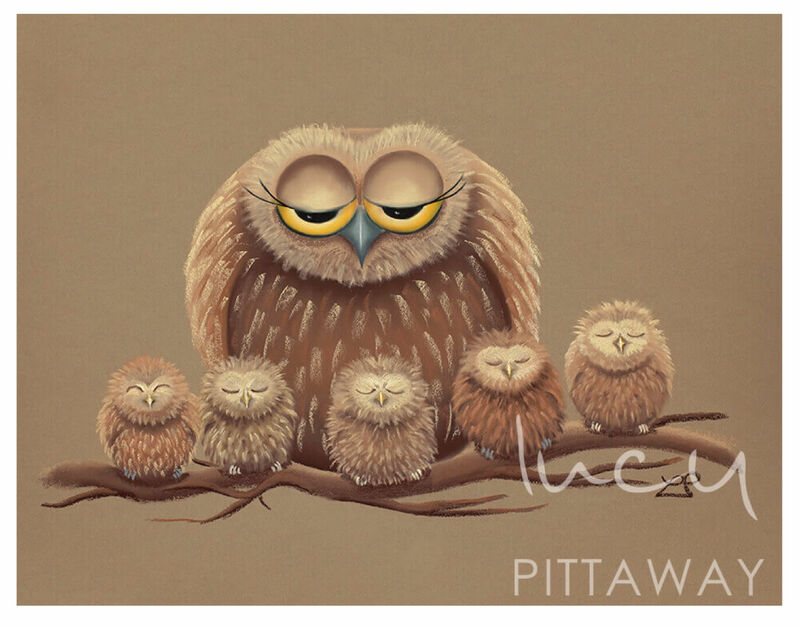 Lucy’s artwork is perfect for loved ones, building on underlying themes of family and friendship with a quirky little twist. We have gorgeous pieces to suit every home, from traditional countryside cottages to shabby chic or modern style dwellings. You’ll find the perfect piece for all colour schemes, from pretty pastels in the floral collection to rich, earthy hues in the houses and the bright shades found within the cycling collection. Gifting someone that’s passionate about pedals? We have heaps of inspiration! Lucy’s cycling art includes marvellous pieces inspired by local towns and countryside, featuring road cyclists, uphill climbs and the famous Tour de Yorkshire. Little prints are available from £49 and we have a variety of colours, sizes and framing options are available, delivered right to your door. 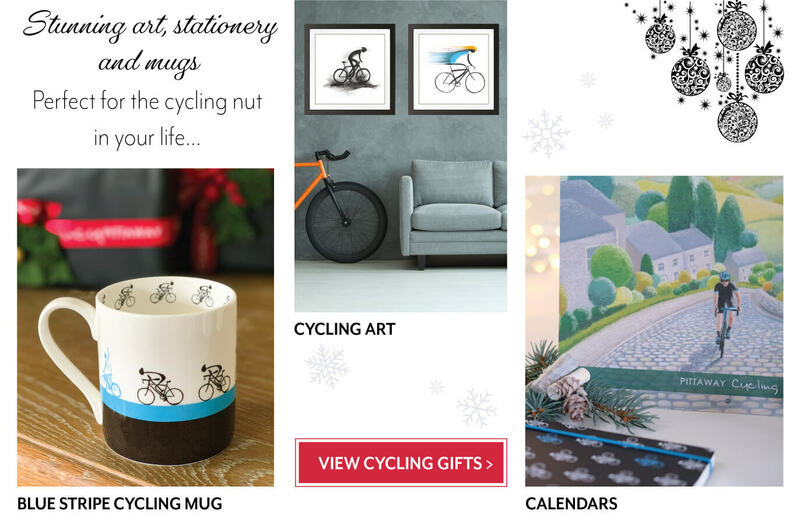 If you’re on the hunt for stocking fillers, explore our stunning cycling mugs, notebooks, calendars and tea towels with many items available under £20. Gifting someone that’s a culinary whizz? Take a look at the cheerful Sheep and Daisy textiles collection, crafted from Lucy’s most popular print. 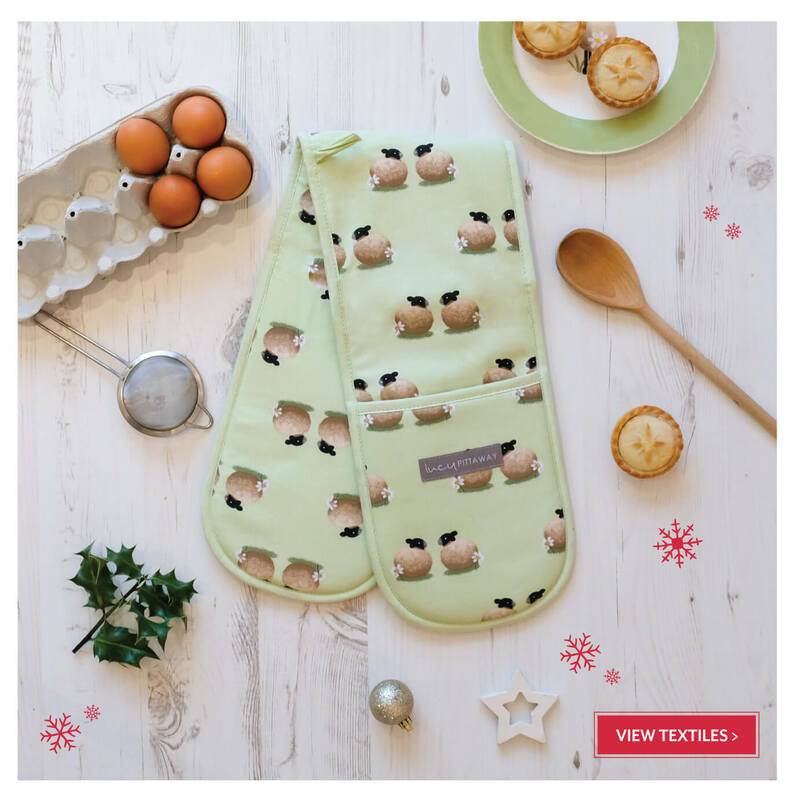 The oil cloth bags are ideal for trips to the supermarket, while the tea towel and oven glove will brighten up the kitchen. There is also a children’s apron available for any budding young chefs! The delightful task of choosing a gift for secret Santa is a little trickier when you don’t know your colleague all too well. Luckily, we have some suggestions! 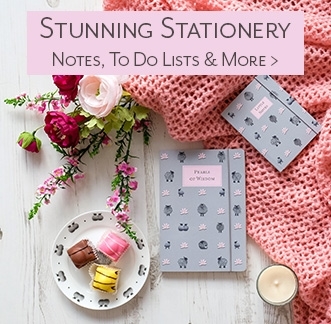 If your budget is £10, why not choose a quirky notebook from our stationery collection? 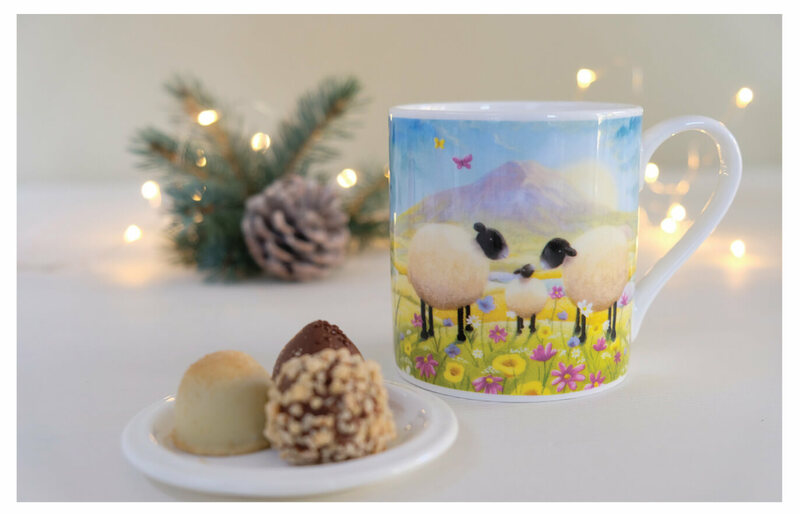 There’s something for everyone with items featuring sheep art, cyclists, playful animals and floral landscapes. If you still can’t find the perfect gift, gift vouchers are available in a variety of denominations. 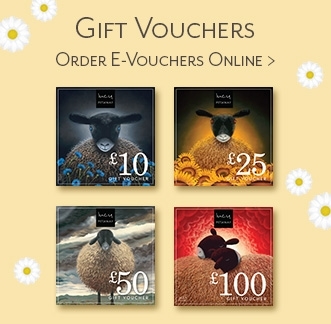 Pop into one of our galleries (open 7 days a week) and choose a voucher from £10 to £100, or order online and create one with the image and value of your choice. 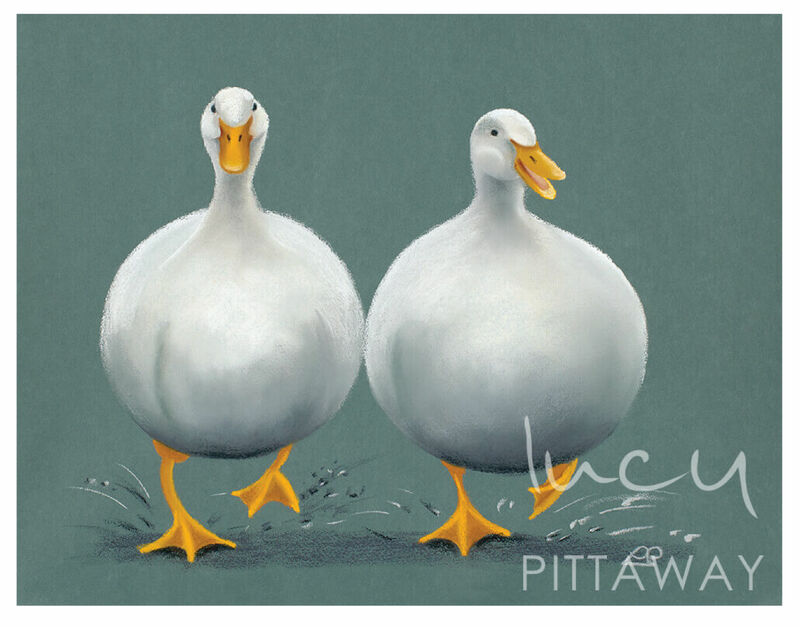 Send stylish seasons greetings with a Christmas card from Lucy Pittaway. The beautiful new designs include a touch of glitter for that extra Christmas sparkle. 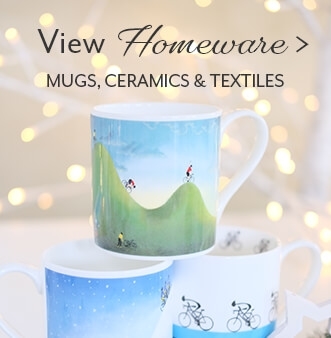 Choose from Lucy’s popular ‘All I Want For Christmas’ artwork, ‘Endurance’ from the cycling collection and charming owls from ‘A Whole New World’.